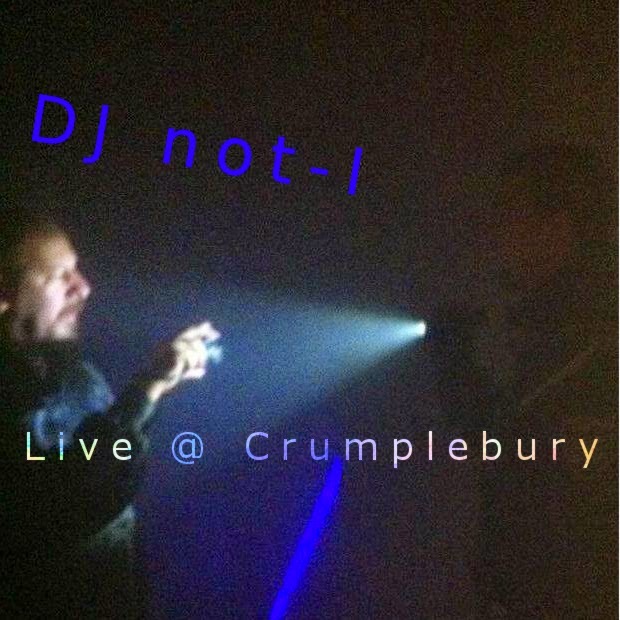 Crumplebury 2015 was an international all-day online DJ festival organized by Pom Deter and broadcast live on mixlr.com. It showcased an accomplished team of DJs from Australia, Austria, France, the Netherlands, New Zealand, South Africa, the UK, and the US, most of whom have known each other since the heydays of a previous version of GYBO. The sets were highly eclectic, dropping anything and everything from breakbeats, drum & bass, electro, and techno to blues, jazz, and dub/reggae to indie, pop, rock, and metal. Unsurprisingly, one of the festival's connecting threads was quality mashups (or, as they used to be called, bootlegs); the other was the crumplebanger ethic or (better) attitude/mindset of bending expectations, genres, and "rules" of music-making by just not giving a damn about them. Crumplebury started on Jan. 31, 2015 at noon, British time (UTC+0) and ended on Feb. 1 at 6 AM. Amazingly, only one tune got played twice during the entire 18-hour event. It was truly a blast and I'm glad to have been a part of it. I did two sets, one at midnight and the other as the closing festival chill-out. Here they are. They're downloadable via the players. Love, not-I.